Introduced by Sony in 1997, HDCAM ushered in an HD revolution around the world. HDCAM is the HD digital version of Betacam. Capable of producing video in 1920×1080 resolution, videographers could begin producing a higher quality image. HDCAM became the go-to storage medium for news casts and broadcasters alike. LA Video Transfer is one of very few services that can offer transfer of this rare format. 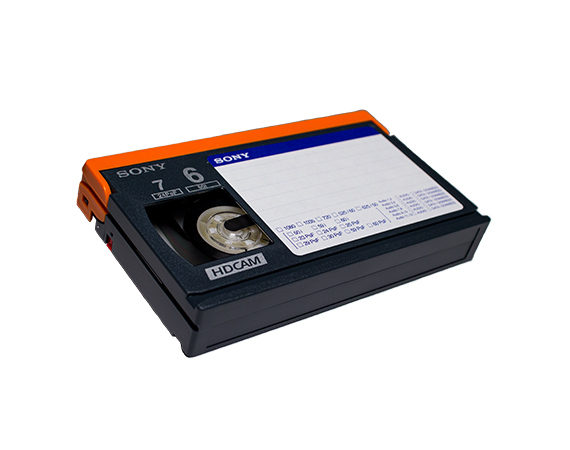 We digitize HDCAM tapes to high quality, high definition digital files. We use industry grade digitizers and encoders to provide the highest quality possible. We provide both lossless and lossy codecs. We can also make Blu-ray copies of the material for easy viewing.